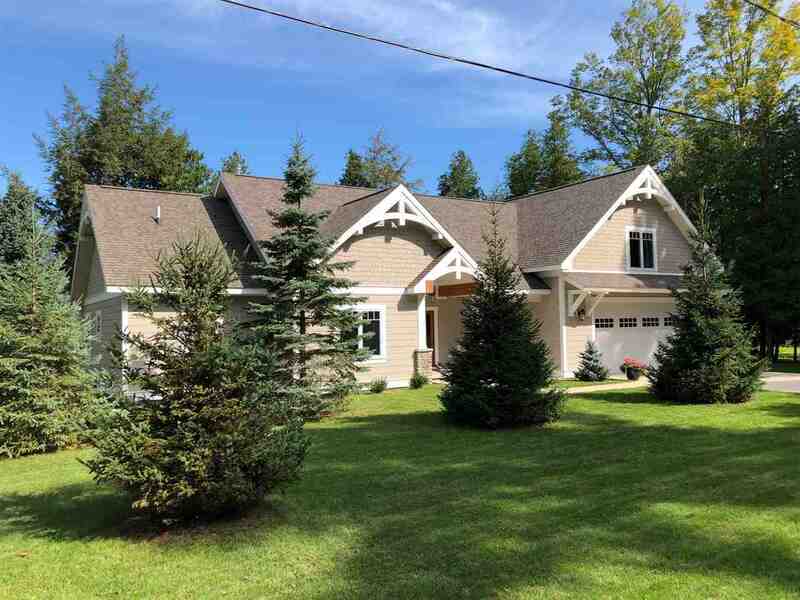 Escape to this wonderful Walloon Lake home, overlooking one of the most gorgeous views the lake has to offer!! This two-story, newer home offers a thoughtful open-floor plan with main floor entertaining areas and spacious bedrooms. Design details include large picture windows, wood flooring, a gas log fireplace, beautiful cabinetry, designer lighting and finishes, professional stainless steel appliances, solid surface countertops, and new blinds. The main level features an open dining room, a generous yet cozy great room, a chef's kitchen, and a spacious laundry room. The master suite is conveniently located on the main floor of the residence offering a gorgeously appointed bathroom and an oversized walk-in closet. The upper level has two additional guest bedrooms with a full guest bath. Step outside to enjoy the homes close proximity to your 111 feet of frontage!! No stairs out here, just a short walk across the yard to your dock. Centrally located on the lake and conveniently close to the North's award-winning community of Boyne City!! !